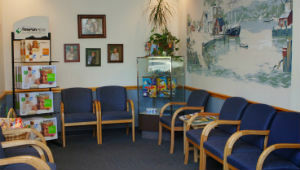 Bennett Chiropractic Care is a patient-centered practice. Our mission is to help you reach your goals. Your health is our top priority. Dr. Bennett is highly talented in Activator Methods® instrument adjusting. By focusing on patient-centered outcomes and by applying cutting-edge techniques to enhance spinal and nerve function, Dr. Bennett and his staff seek to empower their patients to live life on their own terms. Dr. Bennett is here for all ages and sees many children at our practice. Once per month, we hold a Kids’ Day, where children can come in with their parents who are patients and receive a free treatment. Conveniently located right next door to the metro station, many people taking the train to and from work in Chicago can stop by for a quick visit. We also see many seniors and accept Medicare coverage. We’ll help you get better and feel better. Contact us today to schedule your appointment with us.